Most commonly recommended for Aluminum & G.L. bodies (i.e. bus bodies) it is a two pack system to be used in recommended ratio, helps preparing their surface ready for painting to be followed. A single pack Etch Primer, designed specifically for adhesion to steel work with an extremely smooth surface such as galvanized steel and aluminum. In order to cater the variegated demands of our clients, we are offering an excellent quality range of NC Primer Paint. 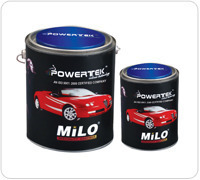 Our company holds vast experience in this domain and is involved in offering Duco Auto Paints Primer. It is two pack system supplied with a base and an accelerator. It is recommended for use on non-ferrous materials like Aluminium & G.I components. It’s main function is to offer excellent adhesion on smooth surfaces. Over Etch Primers, any system of Paints can be applied. Etch Primer is a single component fast dry self etching primer. It is based on poly vinyl resin in combination with specific chromate inhibitive pigments. It is ideal for priming aluminum, galvanized steel, tin and mild steel and other nonferrous metals. Pioneer in the industry, we are engaged in manufacturing an impeccable range of Plastic Primer. 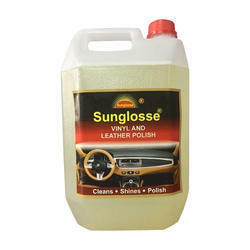 DescriptionD9000 1K Plastic Car Primer is a transparent adhesion promoter for use on uncoated plastics.Its composition is based on chlorinated polyolefin. We are one of the noted manufacturers and suppliers of a wide range of Etch Primer. These paints are suitable for all kinds of metallic surfaces and offer water and chemical resistant finish. Before supplying it to our customers, our quality controllers conduct stringent test to ensure supply only quality products from our manufacturing unit.